If you are contemplating becoming a new owner of an apartment, townhouse, condominium, or a house you are not alone. In fact, according to the RBC Home Ownership Poll of 2016, there has been a four percent increase in Canadians, over the age of 24, looking to purchase a home from 2015. Thus potential homebuyers during the next two years are equaling 29%. An additional 43% of potential home buyers to also account for during the same time frame are the Millennials (those buyers aged 18 to 24). Like Americans it is almost certain that a large portion of this combined 72% of potential upcoming homeowners will bind themselves to their home in one primary manner – the mortgage. Many have erroneously thought that the mortgage was a loan when in actuality a mortgage is a lien on the property that is being acquired. This way when lenders or banks hold onto a home mortgage they have the ability to lay claim to that property should the buyer default on the loan. An easy way to help demonstrate clearly the principle factors in which mortgages operate is thinking them like the car title if a loan is necessary. The home as well as the car are classified as real property. They both require moneies to be reimbursed to a lending entity in a monthly fashion for a set amount that will cover the interest as well as the principle over a set period of time, also known as amortization. The largest debt that is held by the average family for the longest duration (an average range being 10 to 30 years) is that of the mortgage. Statistics Canada places the current total home based debt ratio, primarily caused by the mortgage to be $1.268 trillion. Due to these factors it is very important that prior to applying for or obtaining a mortgage all aspects have been clearly understood. The asking price of the home in which you are thinking of buying is not the only amount that one must consider when taking out a mortgage. The following are some of the additional costs one must also consider. Once you have worked with a real estate agent to find your future home your next step is to contact your intended mortgage lender to pre-qualify. Once pre-qualified you will have an approved set dollar amount in which you can use on the purchase. The real estate agent will then place a bid on the home you desire. While the bid is in limbo you will need to complete steps with the mortgage lender to determine the monthly payments. All the while your real estate agent should be working with the seller on your behalf to set a closing date. We mentioned pre-qualifying for a mortgage loan. There are a number of items that one needs in order to accomplish this. The following are some requirements to qualify for a mortgage. You will need the agreed upon amount of down payment. You will need a credit score sufficient for the amount of loan being requested. A front-end-ratio of 28%. (This is your house expense debt to income ratio). A back-end-ratio of 36%. (This is your total debt to income ratio). Salary and employment verification. Most lenders require two plus years with employers. Financial documentation extensive enough to show all variables lender requires. A completed professional appraisal and the funds to cover closing costs. Private Mortgage Insurance (PMI) is also often required to cover mortgage amounts, especially for those mortgages requiring 20% or less cash down payment amounts. There are three specific items that must be included when trying to figure out the monthly payment for your mortgage. Those are as follows. The length of time the loan will take to be paid in full. The interest amount on the amount of money loaned. The amount to be loaned. Your real estate agent notified you that they set a closing date. The means that all parties must have gotten all aspects ready for final signatures. These aspects could include any required repairs found during inspection, completing the final payments on the deposit required, or a number of other variables. On the date set for closure the mortgage lender will come prepared with a check to pay the seller. All fees will be distributed to necessary parties at this time as well. Once the seller has been paid your mortgage has officially begun and the process of paying your monthly payments as well. There are a number of different available mortgage types available for Canadians. Here we will briefly touch base on them to give you an idea of what is available. Your banker, real estate agent, or mortgage broker can better explain the required information you will need and what you would best qualify as there are often changes that one might be otherwise unaware of. This mortgage is typically for those people that have at least 25% of the purchase price as a down payment or those homes that have an appraisal value that is lower than the purchase price. CMHC insurance may be required in certain circumstances. This mortgage is typically for those people that have less than 25% of the purchase price as a down payment. A mortgage insurance company such as CMHC (Canada Mortgage and Housing Corporation) or GE (GE Capital) often is required to enable this mortgage to close. This insurance is only required to be paid for one time and can normally be added into the mortgage amounts being requested. Prior to 1989 this was also known as the first-time buyers program but is now open to all those who seek to qualify for their principal residency. 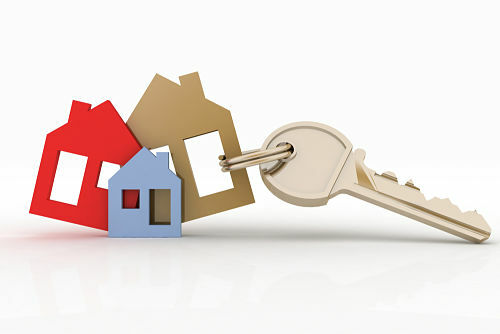 CMHC will have set maximum purchase amounts for the different areas one must look into as well. The mortgage rate is the amount of interest that is required for the money being used for home purchase. 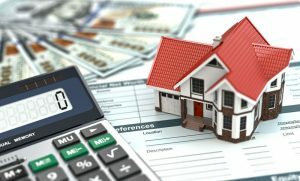 Along with the different types of mortgages you will soon discover there is a considerable number of variables in the mortgage rate as well. Here is a brief breakdown of rate types offered. These are the mortgages with no rules and no penalties. You can make changes, pay extra, and even pay off this loan at any time without question. These mortgages are also often referred to as Floating Rate Mortgages. These are rates along with your payments will fluctuate during the length of your mortgage based off the Bank of Canada’s prime rate of interest. If the prime rate is increased by the Bank of Canada your VRM goes up and if the prime rate is decreased so is your VRM. These mortgages like the VRM have moving interest rates. The difference is that the payment amount stays the same every month the amount that applies to the principle changes with the interest. In other words, the lower the interest the more that is applied to the principal balance. These mortgages are floating rate mortgages that have the highest interest you will ever be charged capped off. Meaning, for example, if the current rate increases to 6.5% but you’re capped rate is 5.4% you will only be charged the 5.4%. Often there’ll be penalties charged for those that wish for or make early pay off. These mortgages offer terms typically ranging from 6 months to 25 years at a fixed rate of interest. Any changes, early pay off or backing out of these mortgages brings with them penalties. The penalty amounts generally are the highest cost of three months payments or the current IRD (Interest Rate Differential). No matter, these are the most common types of mortgages written. These mortgages offer interest rates that have been based off of the current yield relationships of the bond market. Factors such as the economical and political conditions present makes the bond market one that is very unpredictable and change occurs very often. Even though these rates change rapidly, once you have locked into a rate you are just that – locked in and the locked in rate is now yours. The benefit to these mortgages is the amount you pay stays the same from month to month for the entire term length. Although not offered by all lenders this is a fixed rate mortgage in which rates terms are 6 months to 1 year that allow changes to be made without penalty as long as the lender remains the same. Thus this often allows you to lock into a lower rate for a longer term before rates increase. These mortgages are handled by CHIP (Canadian Home Income Plan). 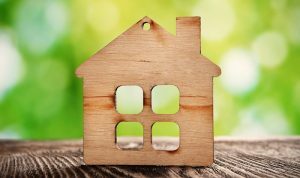 To qualify the homeowner must be over the age of 62. The Reverse Mortgage also known as the HECM (Home Equity Conversion Mortgage) then allows the homeowner to borrow the amount of equity that they have in the home in a form that does not require monthly reimbursement fees or selling of the home. There are a number of rules and laws associated with this type of mortgage and it is suggested that one speak with legal representation prior to entering into a mortgage of this type. When it comes to purchasing a home great care should be taken to ensure you are 100% aware of all aspects. This is the place in which you plan to bring your family, be able to relax, a place to grow old in, a place of life’s memories. It only takes a few minutes to make a good or a bad decision and potentially years in which to change that decisions once it has been made. 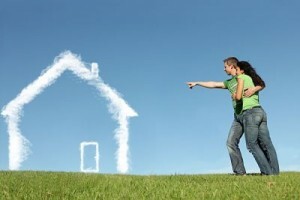 More changes are highly possible in the coming months focusing on that of mortgage lending. We encourage you to use the Loan Finder here are Smarter Loans to help connect you will those that stay up to the minute on the industry. Financial lenders found on Smarter Loans have been carefully reviewed by a specialized panel to determine the highest qualified options are always available. Qualifying for a Mortgage in Canada and the U.S.